« Rise of an Empire – The Glory of the Greeks goes on! What is a Pipe Bomb? How lethal is it? What are the effects of such an improvised explosive device? What are the relevant security measures and safety distances? 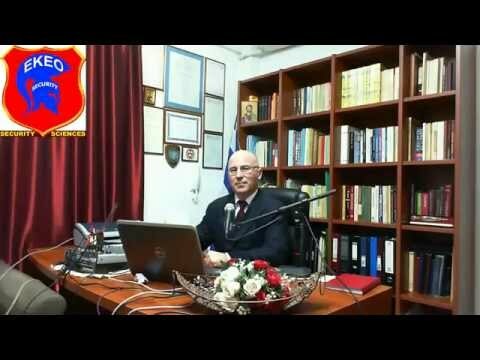 Professor Dr. Theodore Liolios, the Director of EKEO (The Hellenic Arms Control Center) in this short tutorial briefly answers all the above questions in very simple words. For security reasons EKEO will not detailed information about the design of a pipe bomb but it focuses on the effects of its explosion and the relevant security measures. For purposes of illustration, EKEO assumes that the Boston Marathon bombs were pipe bombs instead of pressure cooker bombs, which was actually the case and estimated on Google Earth Satellite images the relevant Evacuation Distances. Although the Outdoor Evacuation Distance for pipe bombs defined by the Department of Homeland Security seems unrealistically large, the Arms Control Center, advises that the DHS standards should be applied in all cases, if possible. This entry was posted on Tuesday, March 25th, 2014 at 2:23 am and is filed under TERRORISM. You can follow any responses to this entry through the RSS 2.0 feed. Both comments and pings are currently closed.